Questo evento annuale, che si terrà a Nashville (Tennessee), è ritenuto la fonte principale delle ultime informazioni tecniche sui problemi di ingegneria antincendio e tendenze emergenti, casi di studio, ricerca, codici e standard. The deadline to submit the presentation abstracts is 1 October 2018. 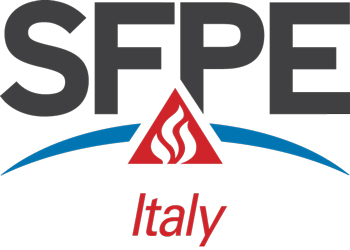 Conference presentations will be on subjects relevant to fire safety engineering, with a focus on both the role of the fire safety engineer and on professional practice. The conference program committee has developed the following list of topics that we would like this year’s program to include. Please consider these topics as you prepare your abstract, and forward to peers who may be interested in presenting on one of these topics. Deadline for abstract submission is 1 October, 2018. The application can be downloaded here. Please send completed abstracts to Kendall Talbert and include “2019 Europe Conference Abstract” in the subject line of the email. If you have any further questions, please feel free to contact Louis Guerrazzi. Most of the current understanding of building behavior in fire is based on the adoption of the standard and parametric temperature-time fire curves. However, these design fires are based on small scale tests and idealize the thermal environment. Thus, they have important limitations on their applicability to large enclosures. Instead, in large open-plan compartments travelling fires have been observed. To account for such fires, a design tool called Travelling Fires Methodology (TFM) has been developed and used for design. The methodology has already been used in the design of 42+ iconic buildings in the UK. In this study structural response of a two-dimensional 10-story 5-bay steel frame exposed to travelling fires and traditional design fires is investigated. Results indicate that, depending on the structural metric examined, both travelling fires and uniform fires can be more severe than the other. Thus, a single worst case fire scenario under which a structure could be designed and deemed to be safe cannot be established. Therefore, in order to ensure a safe fire resistance design of buildings with large enclosures, a range of different fires including both travelling fires and uniform fires need to be considered. Il seminario, che avrà inizio alle h. 14.00 e terminerà alle h. 18.00, è gratuito per tutti i soci AIIA che sono in regola con il versamento della quota associativa 2017, pari a € 70,00 (IVA esente), mentre prevede una quota di partecipazione per il rimborso delle spese organizzative per i non soci; l’accesso alla sala sarà consentito solo ai soci ed agli iscritti che avranno regolarizzato in precedenza il pagamento della quota di partecipazione. L’iscrizione al seminario ha il costo di € 50,00 (+ IVA) per i non soci AIIA, mentre rimane completamente gratuito per i soci.